You will find our kindergarten in the heart of Bishopdale, a spacious, leafy place right next door to Cotswold Primary School. 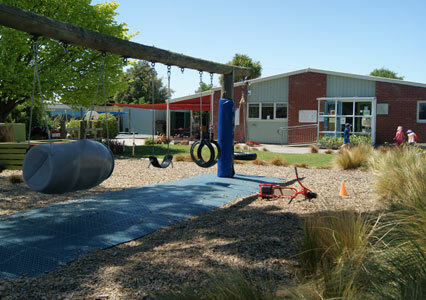 Tamariki here at Kidsfirst Kindergartens Cotswold have freedom to explore, connect with other children and learn through play. 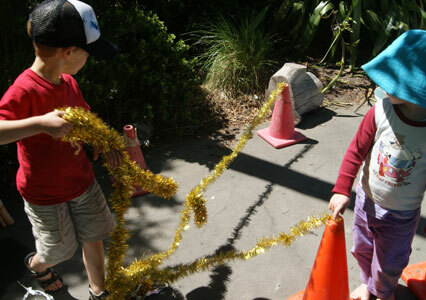 Visitors often comment on the calm, relaxed yet busy environment they see as they come into the kindergarten. All around you will see children at work alongside each other, making choices for play that engage them with the people, the places and the things of our environment and community. We offer an inclusive programme that encourages risk-taking and supports the emergent interests of our tamariki. that are carefully and intentionally presented to ignite thinking and exploration in a play-based, child-led atmosphere. Learning occurs in all spaces at the child’s pace, acknowledging the mana, wairua and mauri our tamariki bring when they come to us. Tamariki are encouraged to be mindful of and inspired by the world around them, and respectful of the environment they play and learn in. Outside at Kidsfirst Cotswold we have a large, leafy big backyard - ideal for curious learners and creative imaginations. There’s a variety of challenging climbing and physical play equipment inviting active exploration. 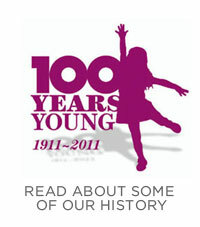 Large play spaces and equipment specially designed to support children’s physical growth and development are features. Tamariki choose from and learn to use a range of real resources such as saws, hammers, nails, gardening equipment, spades and shovels. In using this equipment, they learn about managing risk and making safe choices for meaningful play. There’s space for running, jumping, climbing, swinging and exploring as well as peaceful places to connect with nature, and make sense of our natural world. Rongo, Haumia, and Tawhirimatea, stand proud in our garden reminding us of our commitment to educate ngā tamariki about their contribution to the natural world. We use innovative methods to teach our children about sustainable practices and becoming citizens for positive action, caring for all things living, and being kaitiaki (guardians) of our environment. 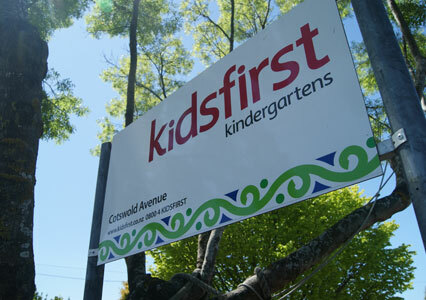 At Kidsfirst Kindergartens Cotswold we are all about the people – tamariki, whānau, kaiako, and community – all helping children to grow up as competent and confident individuals, strong in their identity and with a passion to be lifelong learners. We are a community of learners where adults and children learn together (Ako me te Tuakana Teina) and where links between kindergarten and home are valued. We have an ‘open door’ approach - whānau are welcome to stay at any time. The notion of community and connectedness is important here, it’s at the heart of what we do. We value the relationships we build with our whānau/families, and look forward to making new connections, embracing the multiculturalism and diversity of our community. Family and whānau spend lots of time in our kindergarten and are always welcome to contribute in whatever way they feel comfortable. We encourage and value family and whānau coming in to share their skills and interests with the children to extend their learning. A real sense of Whanaungatanga (family connection) is felt here. You’ll often see us out and about exploring the local community, making connections and learning more about our place in it. Visits to our local schools provide opportunities for the children to develop an understanding of the school setting, and give an insight into the expectations and routines to support their transition. We would recommend that you enrol for at least two full days –building up to five days. This gives our teachers time to get to know your child and build a relationship, and gives some consistency around supporting their learning. It’s hard for our teachers to do this with just a few hours here and there. Come in any time, we are very proud of our unique learning environment and would love to show you around. Kidsfirst Kindergartens Cotswold is a wonderful place to learn!